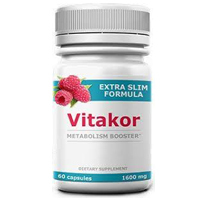 Vitakor Metabolism Boosting Vitamin Review: Does it Really Work? Vitakor is a nonprescription supplement product that is marketed as going above and beyond simple vitamin supplementation. 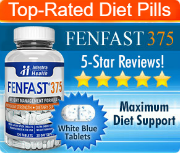 Instead, it claims to be a “metabolism booster” and that it is the “Extra Slim Formula” offered by the brand. The official website claims that the Vitakor formula is made up entirely of natural ingredients that are able to assist in speeding up the metabolic rate. It also suggests that they might help to enhance immune function as many of the ingredients also contain significant levels of helpful antioxidants. The product label for these pills lists the Vitakor ingredients as: Raspberry Ketone, African Mango, Fennel Seed, Cascara Sagrada, Ginger Goldenseal, Pumpkin Seed, Buckthrone Root, Licorice Root, Rhubarb, Citrus Pectin, Acidophilis, Cape Aloe, Bertonite Clay, Aloe Vera, Cayenne Pepper, Senna, Oat Bran, Prune Juice and Flax Seed Oil. Simply by looking at this list, it is clear that there aren’t any proven weight loss ingredients within this formulation. This doesn’t mean that the product won’t work or even that the ingredients are ineffective. However, it is still important to note that without adequate research into the ingredients, it’s impossible for the manufacturer of this product to know that they have selected the ideal combination of substances or the right amount of each ingredient to achieve the maximum benefits (assuming they do indeed work) but without leading to unwanted side effects. 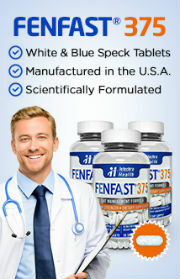 To take this product according to the package directions, two capsules need to be taken per day. This means that one bottle of the product will last for a month, as each bottle contains sixty capsules. When looking more closely at the ingredients in this product, it is far more likely that it would function as a laxative than any kind of fat loss formulation. The reason is that there are a number of known laxative and diuretic ingredients within this formulation. Those, on the other hand, do have scientific evidence. However, it’s important to note that taking a laxative will not lead to fat loss. Instead, it may lead to a very short term reduction in size due to fluid loss and a potential reduction in constipation symptoms. However, any size that was lost will rapidly return once the body is rehydrated once again. It should also be noted that using laxatives for the purpose of weight loss is not typically considered to be a safe process. Moreover, it can place the health of many people at risk, particularly those with any of a long list of common medical conditions. Consult a doctor before starting the use of this product.